Felicity dreams of wearing this beautiful gown to a holiday ball. 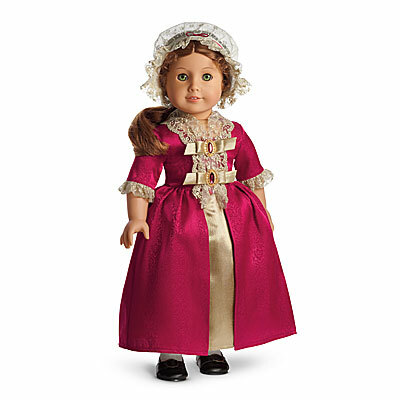 Made just for her from berry-colored brocade fabric, it features a contrasting gold panel, plus delicate lace and sparkly jewels on the bodice. A cream lace cap with berry ribbon trim gives Felicity a merry manner.